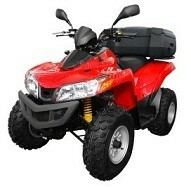 Your ATV tires are put to the test on all types of terrain. From deep mud and soft sand to coarse motocross tracks, your all-terrain tires need to be ready for anything. At Town and Country Tire Services, we carry a wide selection of ATV tires for all applications for customers in Live Oak, FL, Madison, FL, Lake City, FL, and surrounding areas.